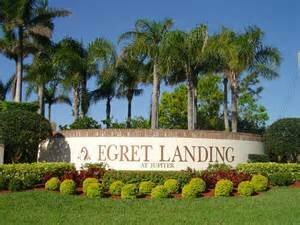 Enjoy all that Jupiter has to offer in centrally located Egret Landing, considered one of Jupiter’s most sought after single-family home communities. Consisting of 654 single-family homes built between 1994 to 2010, home sizes range from 1,700 to 4,600 square feet, offering three to six bedrooms. Egret Landing is pet friendly, sidewalk community with low HOA fees. The community amenities include, clubhouse, resort style pool, fitness center, 7 tennis courts, basketball court, playgrounds and soccer/open fields. Available boat/RV storage area. Just a quick drive to beaches, shopping, dining, Roger Dean Baseball Stadium, Abacoa Town Center, public parks, golf and of A-Rated Jupiter Schools. Want more? Contact us online, call 561-491-2381 or Email - Team@SimmondsTeam.com to learn more about available listings or book a private showing. Contact us to learn more about selling your home with the Simmonds Realty Team.